This tutorial explains how to undo last system restore in Windows 8 PC. It is useful if System Restore created any problem and you want to undo it. This short tutorial explains how to customize how long notifications stay open in Windows 8 in three different ways. 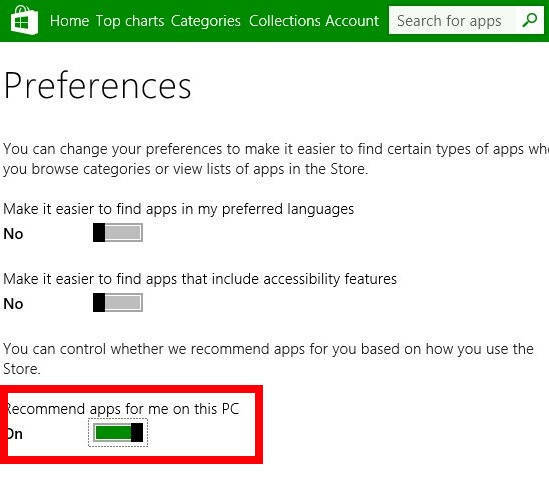 This tutorial explains how to turn off apps recommendations from Windows 8 Store. 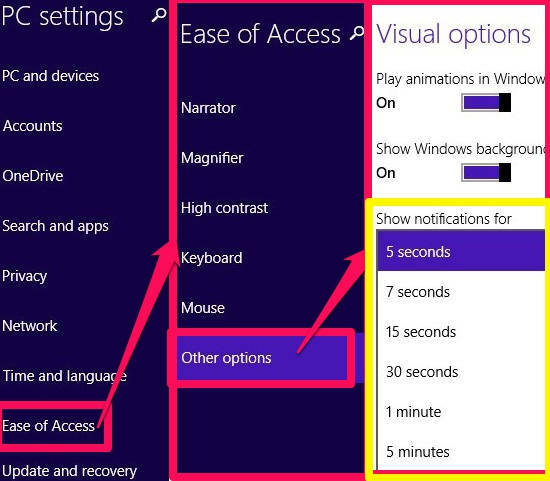 This tutorial explains how to turn on/off Location Platform in Windows 8 in three different ways. How To Move URL Out Of Address Bar In Google Chrome? This tutorial explains how to move URL out of Address Bar or Omnibox in Google Chrome. You can enable origin chip, which just shows root domain. This article explains how to read WhatsApp messages without changing last seen time. It includes two methods: Manual and Automatic. 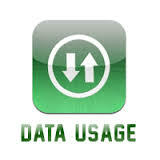 This tutorial explains how to show estimated data usage in Windows 8 in two different ways, without installing any software. How To Show Google Chrome Settings In A Window? This article explains how to show Google Chrome settings in a window. A simple flag can be used to show Chrome settings in a window, instead of a new tab. 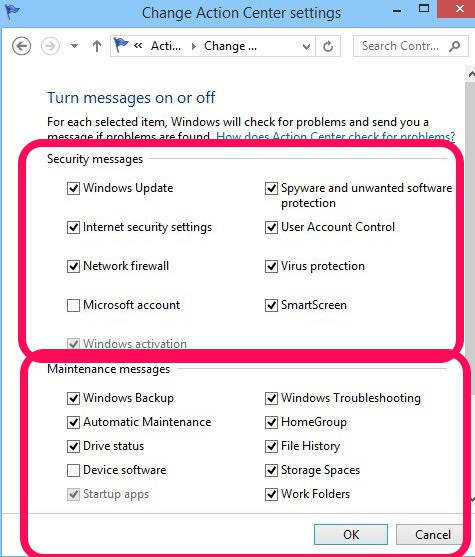 This tutorial explains how to turn off security and maintenance messages in Windows 8. This tutorial explains how to create system restore point in Windows 8 and how to restore Windows 8 to a restore point. How To Save Passwords Automatically In Google Chrome? This article explains how to save passwords automatically in Google Chrome. By enabling a flag, Chrome can automatically save passwords without permission. 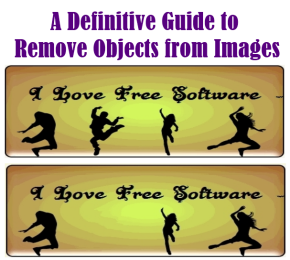 This guide explains how to remove objects from photos using tools like Photoshop, GIMP, Paint.Net and even online. 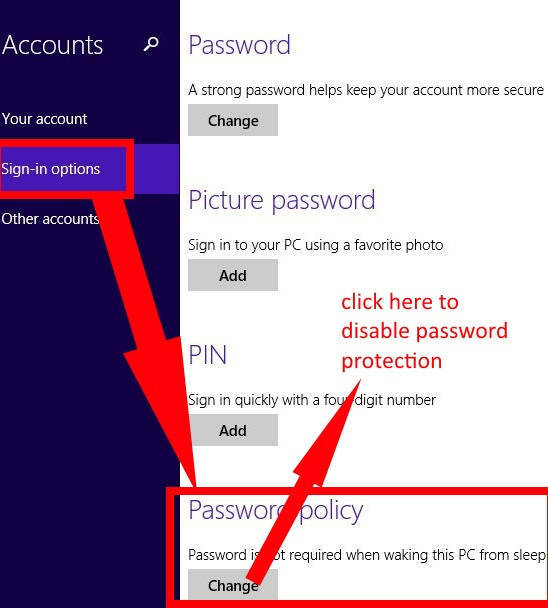 This tutorial explains how to disable password protection on wakeup in Windows 8 in three different ways. This tutorial explains how to restrict access time, allowable webpages, and apps for the child account in Windows 8 using Windows 8 Family Safety.